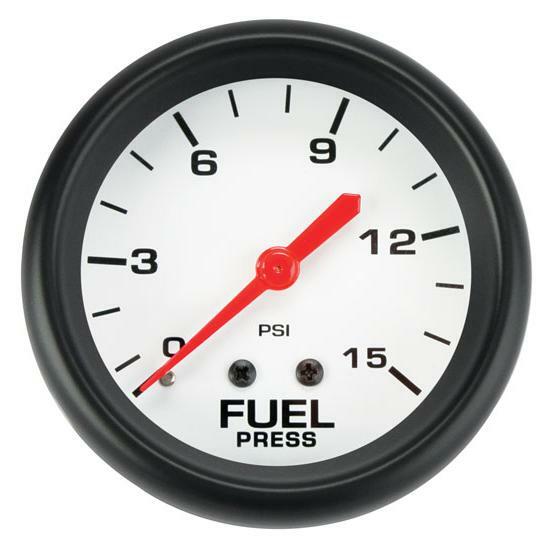 0-15 PSI gauge measurement range. Includes tubing kit, brass fittings, and sliver/black bezel trim rings. Lightweight 2-5/8” Speedway gauges feature a chrome bezel, but we have included both a black and silver bezel to allow you to customize your panel. The backlight, white face makes these gauges easy to read from 0 – 15PSI. Also included with the gauge is a mounting bracket with all necessary hardware, tubing kit, and complete installation instructions.